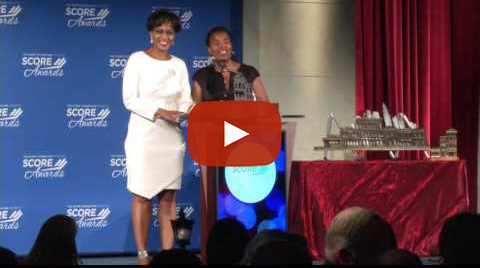 Today, SCORE launched the fourth annual American Small Business Championship — a national competition to celebrate small business owners and entrepreneurs from across the nation, made possible with a grant from Sam’s Club. The open call for applications begins today, and will award two small businesses from every state and the District of Columbia with a $1,000 Sam’s Club gift card, an all-expense paid trip to a training and networking event in Dallas, and mentoring from small business experts at SCORE. From those 102 small business honorees, three Grand Champions will each win a grand prize of $25,000. A judging panel of small business experts will name the Grand Champions based on how effectively they utilize the initial prizes to grow their business. The 2016 Grand Champion Garrett Takach, co-owner of Ninja Park Obstacle Fitness Gym, used his $25,000 grand prize to fund a training program for children with autism. Learn more about Takach’s journey as a small business owner and American Small Business Champion in this video. To learn more, apply or nominate a business for the American Small Business Championship, visit http://championship.score.org/. Champions will be announced in late-March and the Grand Champions will be revealed in September. U.S. small business owners can apply to be a Champion through February 13, 2017 at championship.score.org. To be eligible, applicants must have been in business for at least one year and currently generate revenue. Applicants must complete an online application to include a response to the question: “What one unique aspect of your business will make you succeed over the next year?” via either (a) a 30-60-second video OR (b) a written statement of 1,500 characters or less combined with a photo. Each applicant must also gather at least 100 votes for its online entry on the contest platform during the nomination period (January 12 – February 13, 2017). Applicants will then advance to final judging by SCORE leadership, mentors and board members. Since 1964, SCORE has helped more than 10 million aspiring entrepreneurs. Each year, SCORE’s 10,000+ volunteer business experts provide 350,000+ free small business mentoring sessions, workshops and educational services to clients in 300+ chapters nationwide. In 2016, SCORE volunteers provided 2.2+ million hours to help create more than 45,000 jobs and 55,000 small businesses. For more information about starting or operating a small business, call 1-800-634-0245 for the SCORE chapter nearest you, or visit www.score.org. Follow SCOREMentors on Facebook and Twitter. Sam’s Club, the nation’s eighth largest retailer and a leading U.S. membership club, offers savings and surprises to millions of members in 655 U.S. club locations and at SamsClub.com. The Sam’s Club Giving Program, established by the Walmart Foundation in 2008, is dedicated to micro- and small business prosperity. Sam’s Club and The Sam’s Club Giving Program have invested more than $28 million since 2011 in national and local programs dedicated to improved training, education and increased access to capital for small business owners. For more information on national or local giving by Sam’s Club or The Sam’s Club Giving Program, visit Corporate.SamsClub.com/giving.